It took twenty one months of intense renovation efforts to bring back the original beauty of this precious, 19th century station building. Upon its opening, the vice-president of PKP – a national railways operator – referred to Malbork station as a gem of railway architecture in Europe. The renovation was extremely thorough and meticulous. Original coats of arms, polychromes, wooden beams and columns were renovated while decorations and gildings were recreated. However, as an expression of care for historical legacy of the place, certain details, such as World War II bullet holes were preserved. Historical double windows and doors were given particular attention during the renovation process. The restorer wished to preserve as much of the original fabric of woodwork as possible. Therefore, the repairs and restoration works required the use of most advanced nanotechnological products in order to, on one hand, secure the durability of renovated elements, and on the other hand, to assure that their visual character remained unchanged. Today the station once again pleases the eyes of passengers travelling along the busy Gdańsk-Warsaw railway line, which runs through Malbork. We are pleased that our woodwork craftsmanship had the chance contribute to this unique project. Our Studio had the privilege to participate in the project of revitalisation of a enchanting, historical mansion in Lviv, Ukraine. The building, constructed in 19th century represented a truly saddening state. In the basement, where negligence took most of its toll, the ceilings and walls were badly damaged and damp. The rest of the mansion did not fare much better throughout the years. 1. This is how a carved decorative element looks like before and after renovation. 2. Railway Station in Malbork. Our glory and pride. We successfully managed to bring back the double pine windows to their former glory. 3. Renovation process in progress. 4. Green double windows made of pine wood. 5. Custom-made internal wooden doors in the renovation process. 6. Decorative elements of internal pine doors, railway station in Malbork. 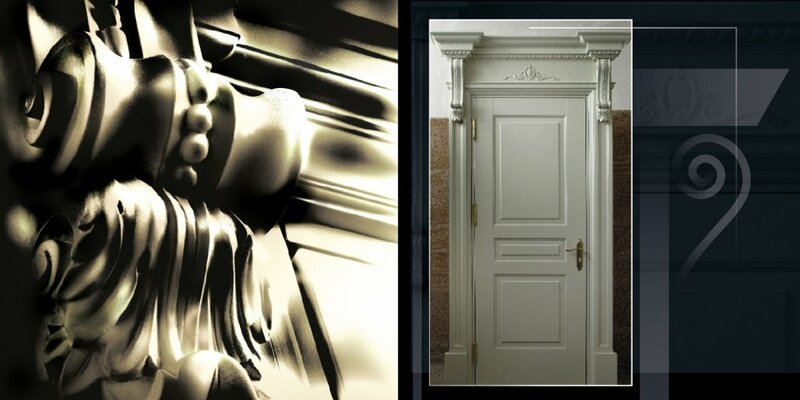 Handmade bas-relief significantly increases the elegance of this door. 7. Decorative ornament of internal alder doors, the Palace of the Archbishops in Lviv. 8. Internal doors decorated with handmade sculpture. 9. Carved coat of arms as an artistic addition to internal doors. 10. 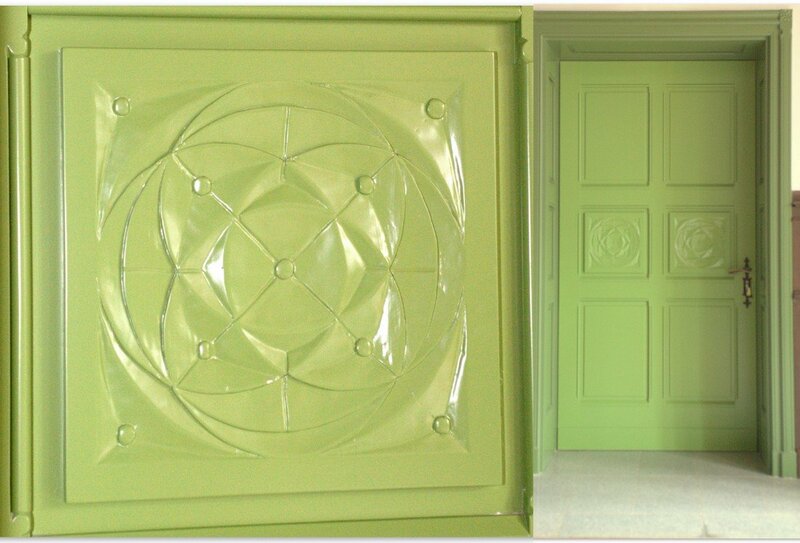 Decorative ornaments of a posh internal doors, made in the palace style. 11. Elegant palace doors, single and double. 12. The palace oaken staircase. 13. The colour combination of brown and ivory gave this vast and massive stairs a hint of lightness. 15. Oaken church gate revitalized with reverence and respect. 16. Exclusive internal doors are an amazing decoration of the palace.